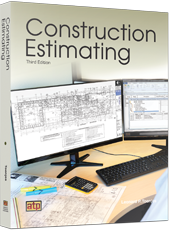 Construction Estimating provides a comprehensive overview of the estimating practices used in the construction industry and covers the common methods used to develop estimates. This edition serves as a guide to sources of information on prints and specifications. Learners have opportunities to prepare estimates using a variety of spreadsheets, including takeoff activities based on prints for a proposed township administration building. Information on building information modeling (BIM), alternate power systems, light detection and ranging (LIDAR) systems, and LEED® green building practices have been added to this edition. CSI MasterFormat® divisions are referenced throughout the book.